This topic contains 4 replies, has 2 voices, and was last updated by admin 12 months ago. In both cases, the options are Yes or No. But, when mapping to PDF, you suggested in another post to use the PDF field Options Export Value, and set the PDF field name and PDF field options export value to be EXACTLY the same as the web form. Well, if I do that, then I will have duplicates, two PDF checkboxes will be named “Yes” and two PDF checkboxes will be named “No”. So is this how it is supposed to work, utilize “Use Separate Values” and set a unique Saved Value on webform for each option, and match it up with each PDF checkbox which will have the corresponding “Saved Value” for its Name and Options Export Value. Please confirm if this is correct. (Otherwise, if we just go by using the option’s value, like “Yes” or “No” then there will be lots of duplicate “Yes” and “No” checkbox fields on the PDF and that may not work. “Do you like dogs? Yes / No” – Name both the Yes and No PDF fields “Do you like dogs?“, then the Export (Option) Value for the Yes field should be ‘Yes‘ and the No field should be ‘No‘. Separate values are not needed. Use this form to send us screenshots of the Formidable form in design view and upload the PDF if you would like specific instructions for your forms. On PDF I have the same questions with checkbox fields for the answers. So how do I name the PDF fields and export values? Also, I need help to understand how to map from Formidable Drop Down to PDF checkbox. Specifically how to name the PDF fields, is it done the same way as Radio Buttons? Or if not, please explain how to map from Formidable Drop Down to PDF checkbox. Q: On PDF I have the same questions with checkbox fields for the answers. So how do I name the PDF fields and export values? 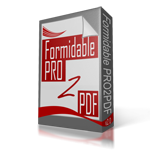 Q: I need help to understand how to map from Formidable Drop Down to PDF checkbox. A: Regular dropdown fields would map the same as Radio Buttons. A: Multi-Select dropdown fields would map the same as Checkbox fields.